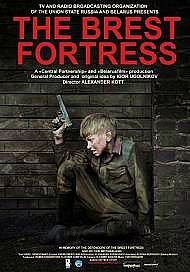 The Brest Fortress is a new Russian-Byelorus war/drama/action by Alexander Kott recently. The feature was recently released to remind the young generation of the most important episode of the Soviet Army’s unprecedented resistance during the German-Soviet War — along with historical battles of Stalingrad and Kursk. Saturday, June 21, 1941. A busy weekend for three Soviet officers and a boy in their garrison of the Brest Fortress, the nearest Soviet fortification on the Polish border along the Bug river. 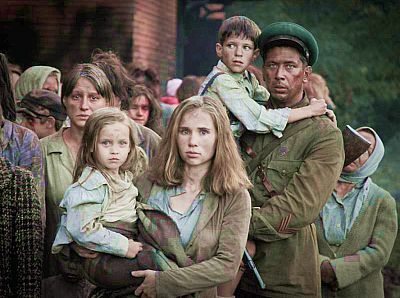 Lieutenant Kizhevatov (Andrey Merzlikin) and his family enjoyed walking in a public place. Commissar Efim Fomin (Pavel Derevjanko) tried to buy train tickets for his family. Major Gavrilov (Alexander Korshunov) who fought in WWI and Civil War debated an NKVD officer about “spreading of panic rumors” among the personnel of the Fortress about imminent war against German Army. A boy played trumpet in the brass military orchestra and watched the girl he loved. The officers did not know that the next morning they will be the first to face Nazi’s during the launch of Operation Barbarossa. They will be the main hindrance for the German Army crossings over the Bug River to reach the Warsaw–Moscow railway and highway. They will have to command separate isolated resistance strong points, encircled, fiercely bombed and shelled, but fighting desperately against heavy concentrated offensive. And the boy will make the only liaison between them. 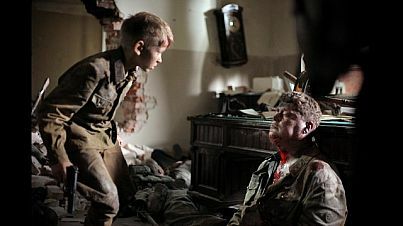 It is the film about the most important episode of the Soviet Army halting the Nazi Army in the World War II. The fortress had become a symbol of the Soviet resistance during the German-Soviet War along with historical battles of Stalingrad and Kursk. I am looking for a Russian producer to take a look at a project titled “LENIN”. It is a biopic about the former bolshevik revolutionary leader. The screenplay has won several awards in the United States. I am looking to start a conversation with some filmmakers and producers who have ties in Russia. You can contact me by email interactions7@yahoo.com or by my U.S. number 210-778-7097.